About: Markus Coffee Company sells 22 different kinds of coffee from all over the world. Coffee is also roasted freshly on the premises. They deliver to their customers within 24 hours. 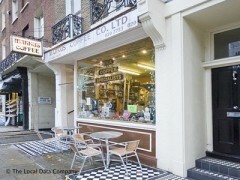 They also offer a selection of coffee-making equipment, sugars and teas.